Published: Oct. 26, 2014 at 10:16 a.m. Updated: Oct. 26, 2014 at 02:09 p.m.
As Tuesday's trade deadline approaches, one name that keeps coming up is Tampa Bay Buccaneers receiver Vincent Jackson. 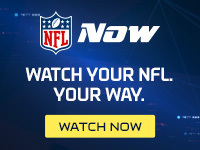 NFL Media Insider Ian Rapoport reported Sunday on NFL GameDay Morning that the Eagles, Patriots, Chiefs and Seahawks are among the teams interested. "They (Eagles and Seahawks) are making calls, and I'm told they are not alone," Rapoport said. "The name to focus on for the trade deadline: Vincent Jackson. He is, from what I understand, he is generating more phone calls than anyone. You mentioned the Seahawks, you mentioned the Eagles, the Patriots are also among the more than four teams calling for the star No. 1 receiver. "From what I understand, the Bucs would be willing to trade Vincent Jackson -- who's making $10 million this year and set to make as much next year -- for the right price. So what would that be? A second-round pick. One of those teams is willing to offer a second-round pick, I would think this trade gets done. (The Bucs) might actually take a third, too." Last week Lovie Smith denied the Bucs plan to trade any of their players. Despite the posturing by Smith, the Bucs are smart to consider moving the highly paid veteran receiver. Tampa already has Jackson's heir apparent in Mike Evans.